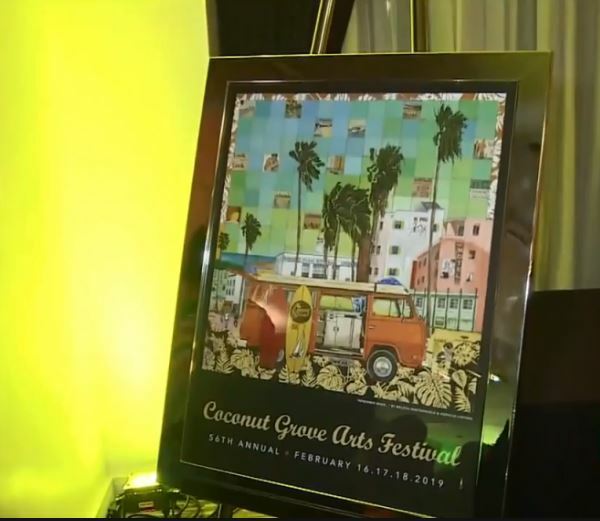 COCONUT GROVE, FLA. (WSVN) – – The 2019 Coconut Grove Arts Festival’s commemorative poster was unveiled on Thursday night. The big reveal happened at the Hotel Aria, located on McFarlane Road and South Bayshore Drive. A couple from Boynton Beach made history as the first husband and wife duo to create the artwork for the festival. This year’s three-day event will mark the 56th year of the festival’s existence. For access to video, click here.